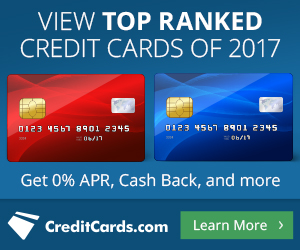 In the travel blogging world, the easiest way to earn big miles and points is through bonuses on new credit cards. But, what if you don’t want (or can’t get) a new card? Here are 7 simple ways to earn miles and points without getting a new credit card. Before we get into the easy ways to earn miles and points, you’ll need to sign up with the loyalty program of the airlines and hotels in which you want to earn miles and points. There are so many more rewards programs available. Simply go to the main website of your preferred brand and search for their rewards program. The link is usually pretty prominent. Now that you’re registered for the loyalty programs of your choice, let’s begin! The first and most obvious answer is the old school way of earning miles and points, paying for an airplane ticket or staying in a hotel. You’re not going to earn a ton of miles, but you’re already spending the money anyway, so make sure you’re getting credit for your flights and stays. Pro Tip: With airlines, you can sometimes have your miles post from one airline to a partner’s program. For instance, when you fly Alaska, you can choose to have your miles post to American Airlines instead of Alaska as a way to concentrate your miles into one program to get closer to redeeming for your travel goals! Once you’ve registered for a loyalty program, you’ll start receiving regular emails from them with your point balance and other program news. On some of these emails are details of promotions where you can earn bonus miles and points (or free hotel stays) after meeting certain qualifications. A good example of this is the current promotion for JetBlue where you’ll earn massive amounts of TrueBlue points by sharing your Virgin America points balance and registering for the #GoForthWithJetBlue promotion. You can earn up to 75,000 JetBlue TrueBlue points after taking just one flight! Pro Tip: Even if you don’t have current plans to take advantage of these promotions, sign up anyway because it doesn’t cost you anything. The timeframe to sign up for the promotion is limited, and it would be a bummer if you missed out of extra benefits because you missed the sign-up period. Whenever you travel, you’ll often need to spend with multiple companies. First, there’s the flight to get there. Then, you’ll need a place to stay. And you may need to rent a car too. Each of these transactions is an opportunity to earn miles and points across multiple platforms. For example, Delta Airlines and Starwood Preferred Group (aka SPG) have a “Crossover Rewards” program where you can earn both airline miles and hotel points when staying at an SPG property. According to the program, not only will you earn SPG points for your stay, you’ll earn 1 bonus Delta SkyMiles mile for every dollar spent on eligible room rates. In addition, upper tier Delta members will also receive other benefits, such as 4pm late checkout, complimentary wi-fi, and upgraded rooms. And SPG Platinums will receive benefits at Delta, such as priority check-in and boarding, unlimited complimentary upgrades, and their first checked bag free. Southwest Airlines is another example of ways to earn points with partners. When booking a rental car through the Southwest website, not only will you have access to the discounted rental car rates they’ve negotiated, you can also earn bonus Rapid Rewards’ points. These bonus points don’t count towards earning A-List status, but they do count towards renewing your Companion Pass (the best airline benefit available, in my opinion). Pro Tip: If you happen to have the credit card of the airline or hotel, you can often “double dip” and earn even more miles and points for spending with their partners. When you shop online, it pays to use a portal instead of directly going to your favorite shopping website. These portals incent you to click through them on your way to spend by giving you cash back or miles and points. I usually have a specific program that I’m trying to earn miles and points in for an upcoming vacation, but when it is a big purchase, I’ll look to compare between the programs to see where I can get the biggest return on my spending. Pro tip: Consider using cash back sites like TopCashback, Ebates (get $10 after first purchase), or Mr Rebates ($5 bonus with first purchase) as an alternative to earning miles and points. You can also earn miles and points for activities that have nothing to do with travel. Some companies have partnered with airlines and hotels to offer points to their members. 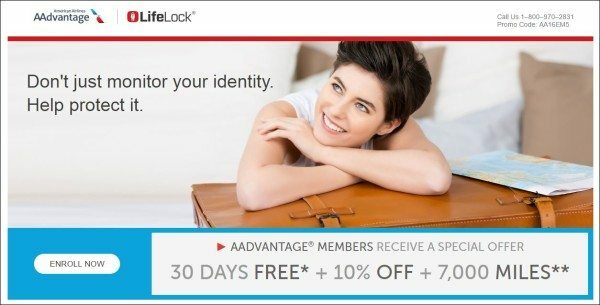 For example, LifeLock will give American Airlines AAdvantage members 7,000 miles for signing up for their service. Pro Tip: Use an incognito browser window to compare prices that the promotion is offering against the price if you go to the website directly. Some companies inflate the price they’ll charge you in order to offset the cost of the promotion bonus. Almost every airline and hotel program participates in Dining Rewards to allow their members to earn miles and points for dining at certain restaurants. The list of restaurants continues to grow every week, and they’re located in most major cities. When you sign up for your favorite program’s Dining Rewards offer, there are often bonuses to be earned when you dine a number of times and spend at least $30 each time. LivingSocial recently got into this game as well. You won’t earn miles and points, but you will earn up to $20 the first time you use their new RestaurantsPlus dining rewards program. Pro tip: Split your credit and card registrations for Dining Rewards among several airline and hotel programs to take advantage of multiple promotion bonuses. Emiles has partnerships with most airlines and hotels to offer you miles and points for completing surveys across a variety of topics. I used to participate in these programs, but stopped awhile ago. Some surveys can be long and the number of miles and points may not be worth the amount of time you’re spending answering the questions. Although, if you can multi-task, you may find it to be worth your time to mindlessly answer questions while watching some TV or listening to the radio. You don’t need to get a new credit card to earn miles and points. You may be preparing for a major purchase (ie: buying a house or car), you may be in between app parties, or your credit may not be good enough at the moment, so you’re looking for opportunities to earn extra miles and points without affecting your credit. These 7 simple methods are a great way to boost your miles and points balances towards your next vacation. I think the dining one is good. I just register all my cards and then forget about it. If I happen to dine at one of the partners, it is a nice surprise getting a few miles deposited into my AA account. I generally don’t search out specific dining spots either. However, if you’re visiting a new city and need some recommendations where to eat, checking out the Dining Rewards’ reviews is a good way to pick out some new places to try… with the added benefit of getting some additional miles and points.